Steampunk Auto Colours : RJ-Romain Jerome pops out in colour ! Getting ready for summer is on everyone’s mind... So why not add some colour to your wrist ? 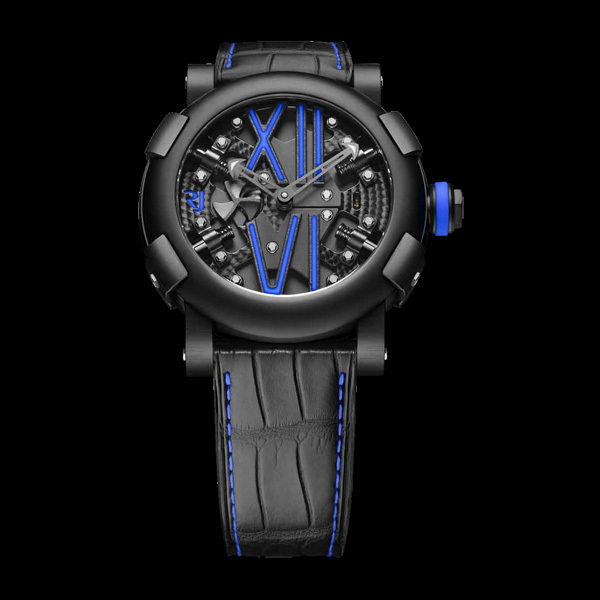 RJ-Romain Jerome introduces its new Steampunk timepiece that plays with the contrast of light and dark, bringing new colours that will brighten your upcoming summer days. RJ-Romain Jerome launches new colourful timepieces for the automatic edition of the Steampunk collection. Inspired by the original iconoclastic timepiece, the new model plays with the brands signature aesthetic codes combined with a retro-futuristic design. Housed in a black PVD-coated steel 50 mm case, the movement has been striped down to provide an unobstructed view of the sturdy, circular graining and rigorously beadblasted blackened bridges. Inspired by Steampunk, the surface of the indexes has been hand-worked directly on the movement’s bridges, creating the unique RJ-Romain Jerome “rough” finish. The Roman XII and VI numerals, the logo and the hexagonal crown have been coloured in yellow, white, red, blue, green and orange depending on the model. Each piece showcases a mysterious sense of depth by creating a contrast between the blackened face of the watch and the colourful elements. The colour of the watch is made even more striking thanks to a black alligator leather strap, adorned with matching coloured stitching. Every detail from these Swiss Made timepieces, takes you back to the metallic and blackened engine rooms of the industrial revolution which inspired the Steampunk aesthetic. The automatic movement has a power reserve of 42 hours, which winds the propeller shaped second hand at 9 o’clock – reminding us of the majestic propellers of the transatlantic ships from the 20th Century. The hour and minute hands have also been designed in the shape of anchors. The satin finished bezel is coated in black PVD, drawing your eyes to the surface of the movement that is held in place by four screwed-down pistons with visible springs, symbolising RJ-Romain Jerome’s signature “X” motif. Limited to 99 pieces in each colour, the Steampunk Auto Colour is a vibrant evolution of the Steampunk collection, adding colour to your summer and allowing you to dream of afar destinations. 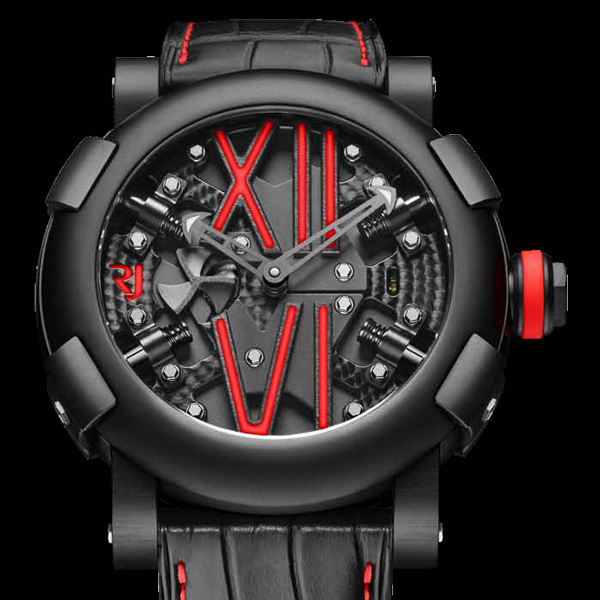 *RJ-Romain Jerome reserves the right to change prices without prior notice.